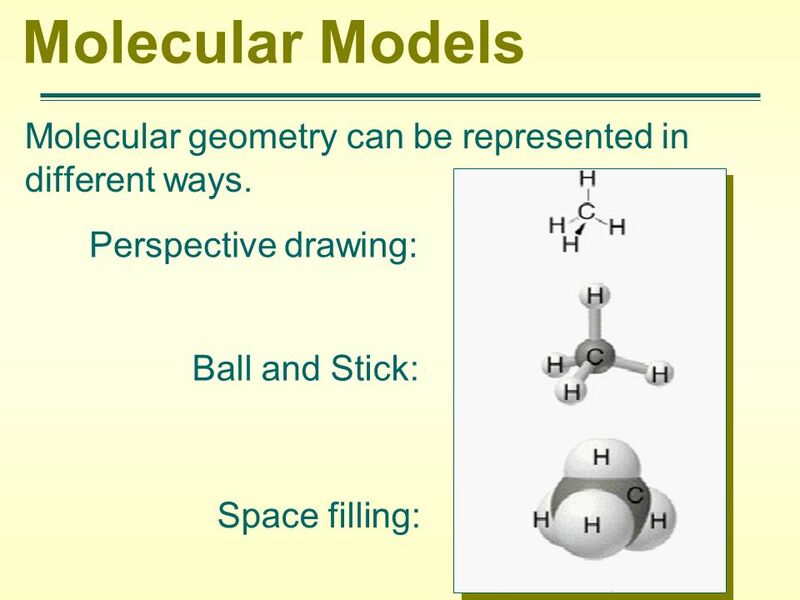 Molecular Geometry The properties of a compound are very much determined by the size and shape of its molecules. Molecular geometry specifies the positions. 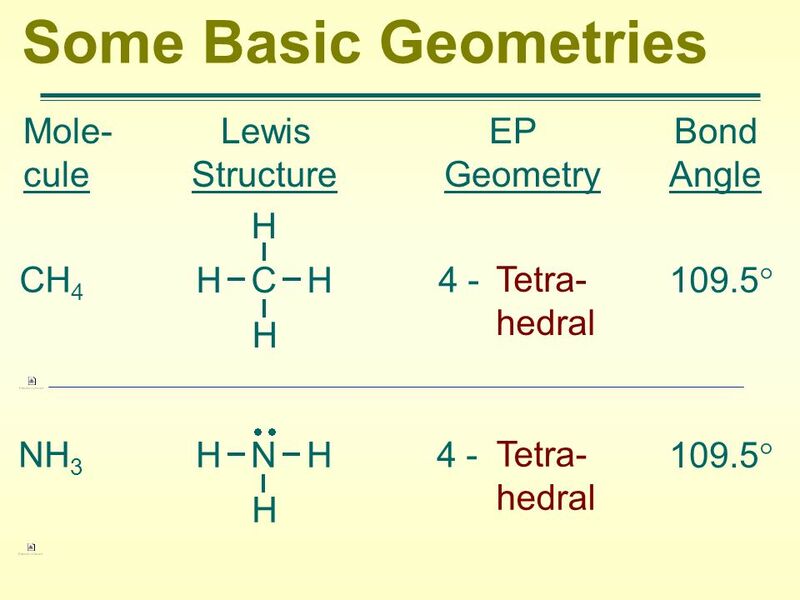 1 Molecular Geometry The properties of a compound are very much determined by the size and shape of its molecules. 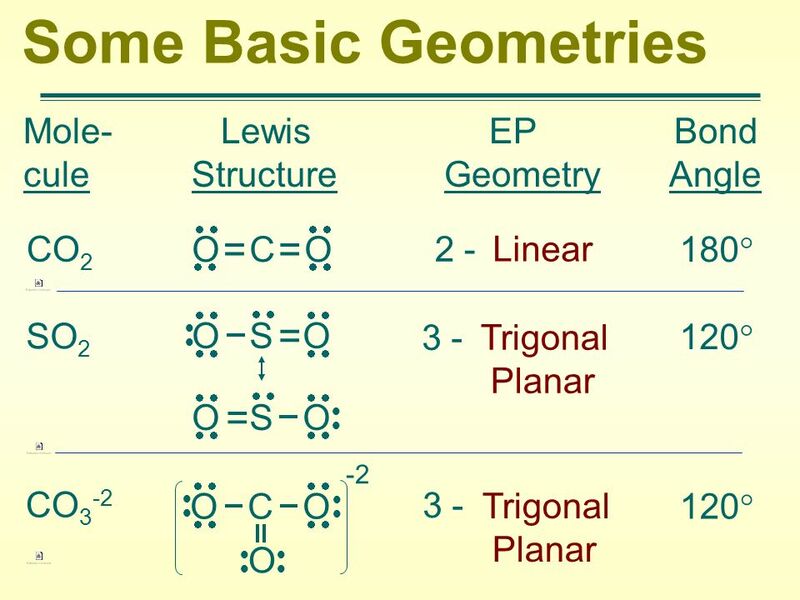 Molecular geometry specifies the positions of the atoms in terms of bond lengths and bond angles. 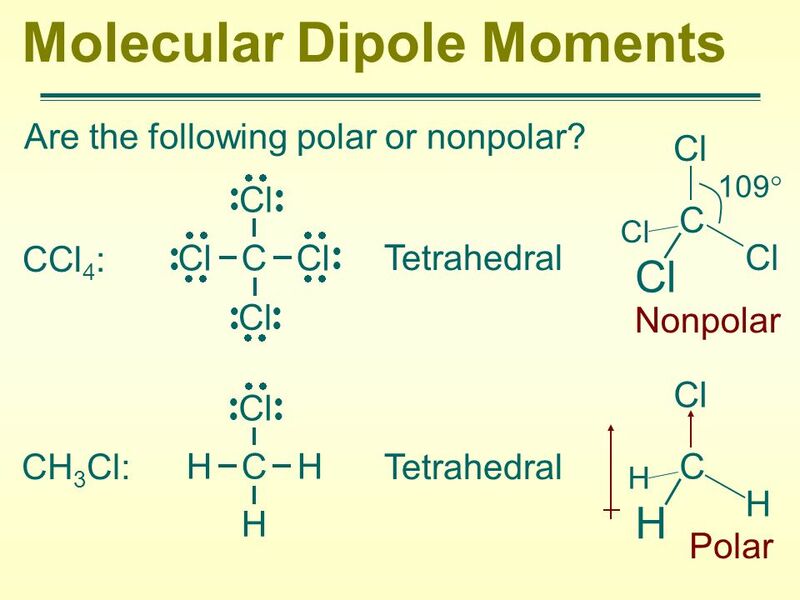 We will focus on the molecular shape which depends on bond angles. 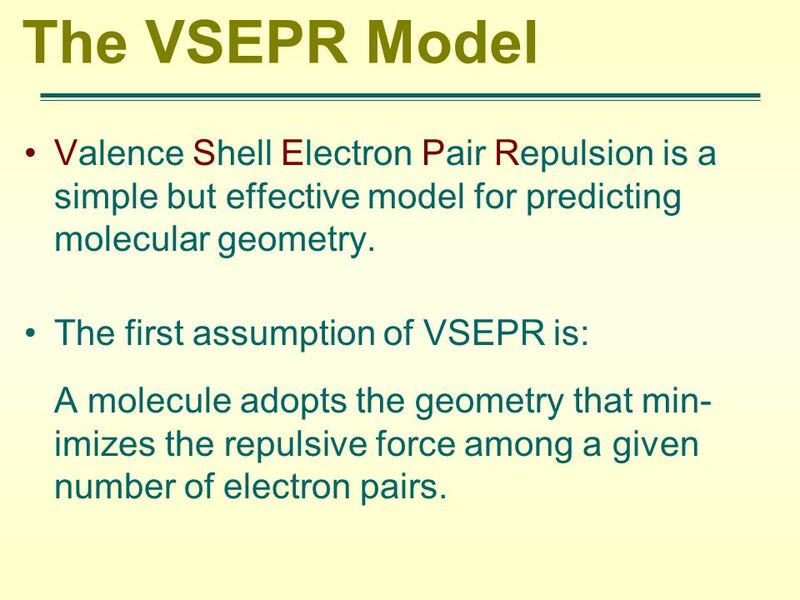 3 The VSEPR Model Valence Shell Electron Pair Repulsion is a simple but effective model for predicting molecular geometry. The first assumption of VSEPR is: A molecule adopts the geometry that min- imizes the repulsive force among a given number of electron pairs. 4 Applying VSEPR Draw the Lewis structure of the molecule. Count the number of electron pairs around the central atom. Multiple bonds count as one electron pair. 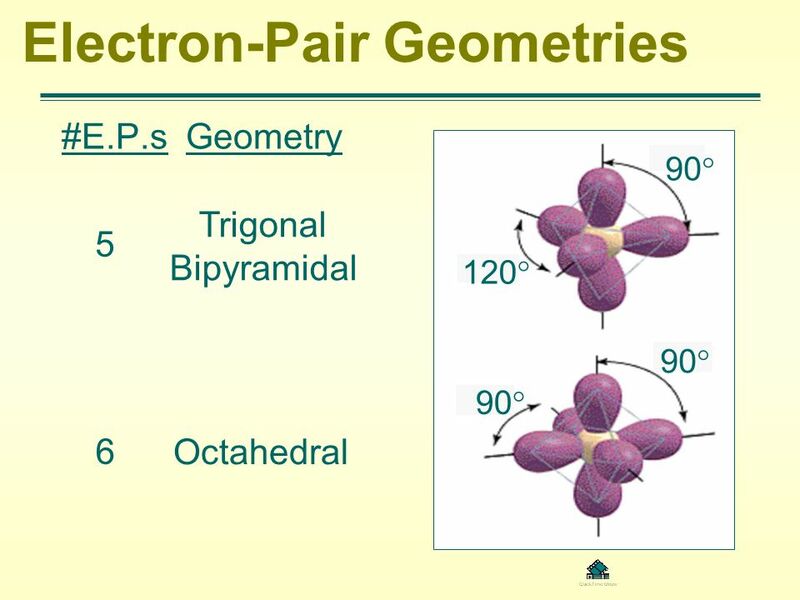 The arrangement of electron pairs that min- imizes repulsion is called the electron-pair geometry. 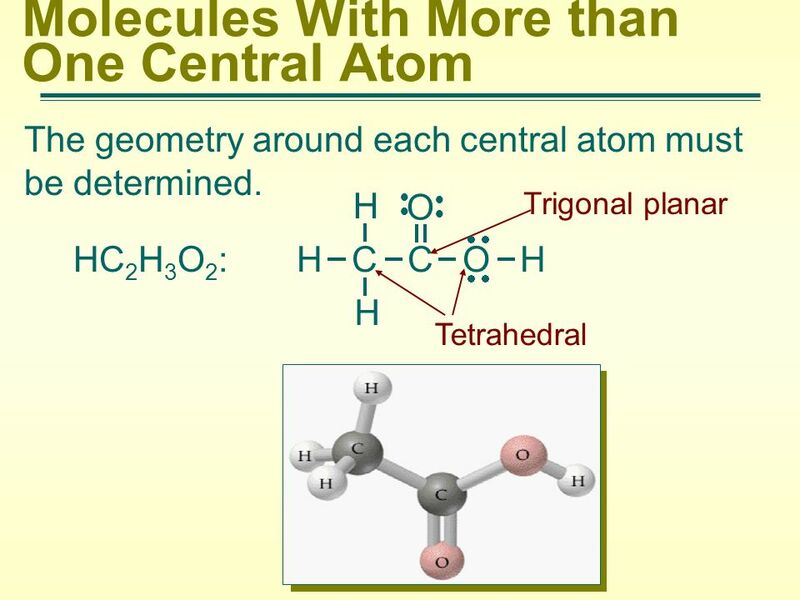 The arrangement of atoms is called the molecular geometry. 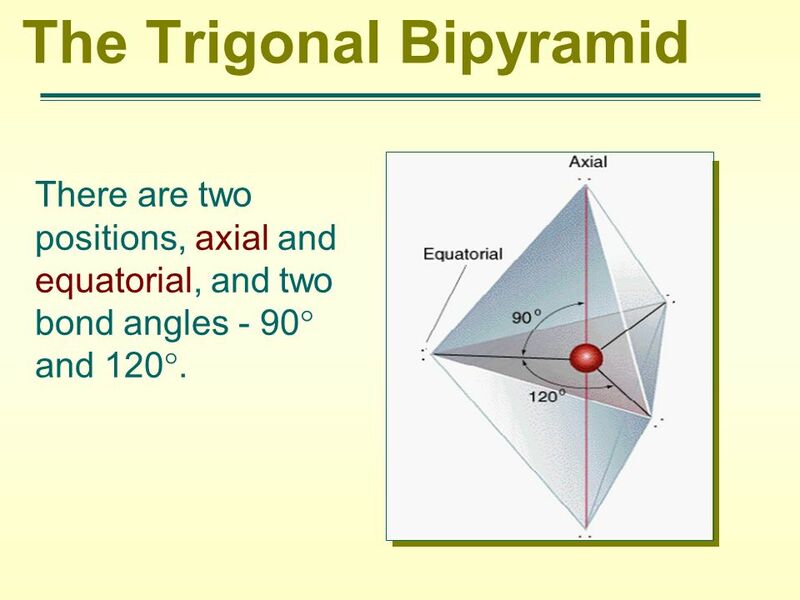 There are two positions, axial and equatorial, and two bond angles - 90° and 120°. 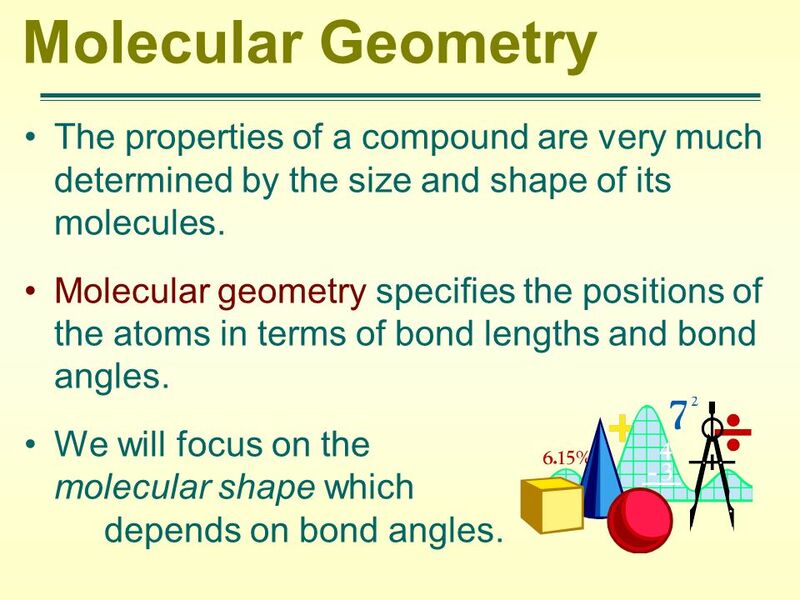 Download ppt "Molecular Geometry The properties of a compound are very much determined by the size and shape of its molecules. Molecular geometry specifies the positions." IIIIII II. 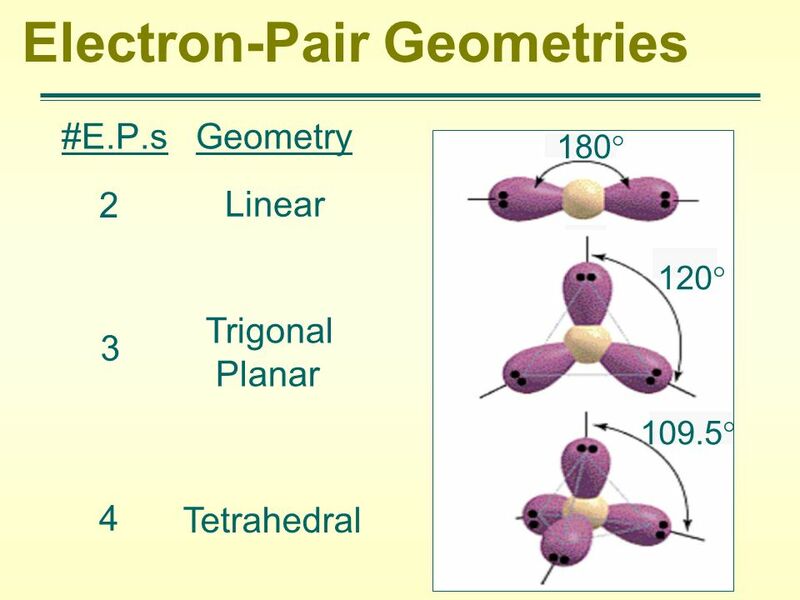 Molecular Geometry (p. 183 – 187) Ch. 6 – Molecular Structure. 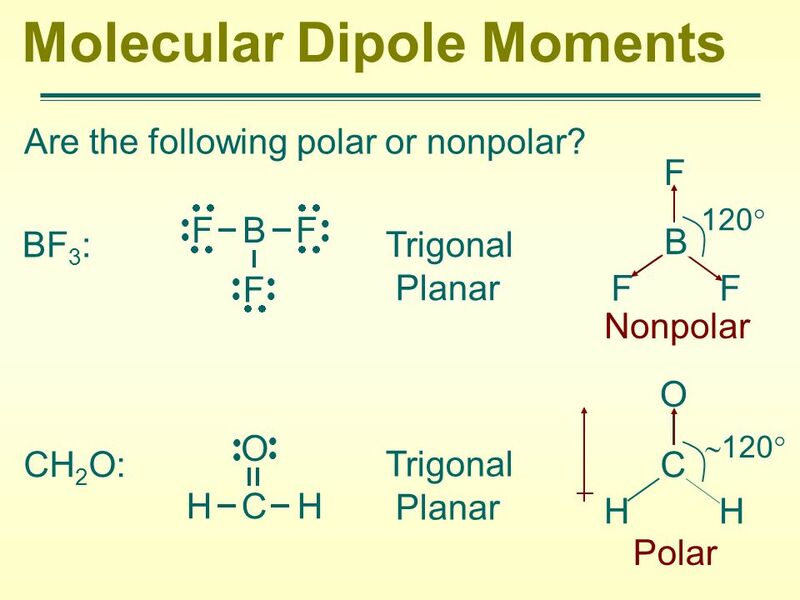 MOLECULAR SHAPE HOW DOES SHAPE AND POLARITY DETERMINE FUNCTION AND PROPERTIES OF MOLECULES? Copyright McGraw-Hill Chapter 9 Chemical Bonding II: Molecular Geometry and Bonding Theories. The VSEPR Theory Advanced Chemistry Ms. Grobsky. Determining Molecular Geometries In order to predict molecular shape, we use the Valence Shell Electron. 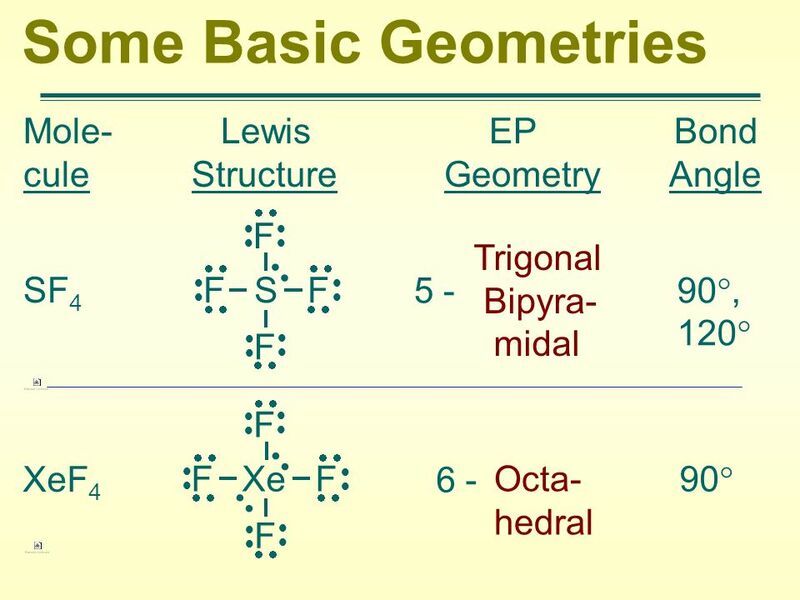 Molecular Geometry Lewis structures show the number and type of bonds between atoms in a molecule. –All atoms are drawn in the same plane (the paper). Molecular shapes Balls and sticks. Learning objectives  Apply VSEPR to predict electronic geometry and shapes of simple molecules  Distinguish between. 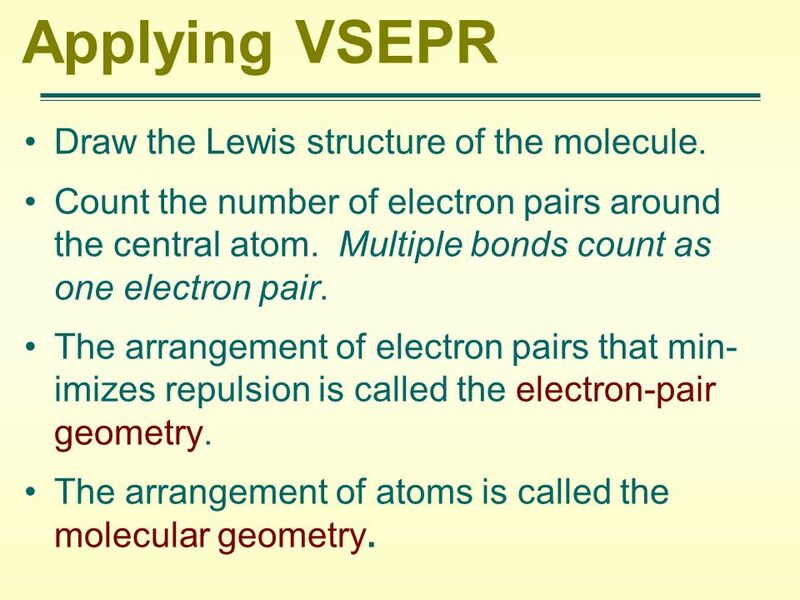 Lecture 25: VSEPR Reading: Zumdahl Outline –Concept behind VSEPR –Molecular geometries. 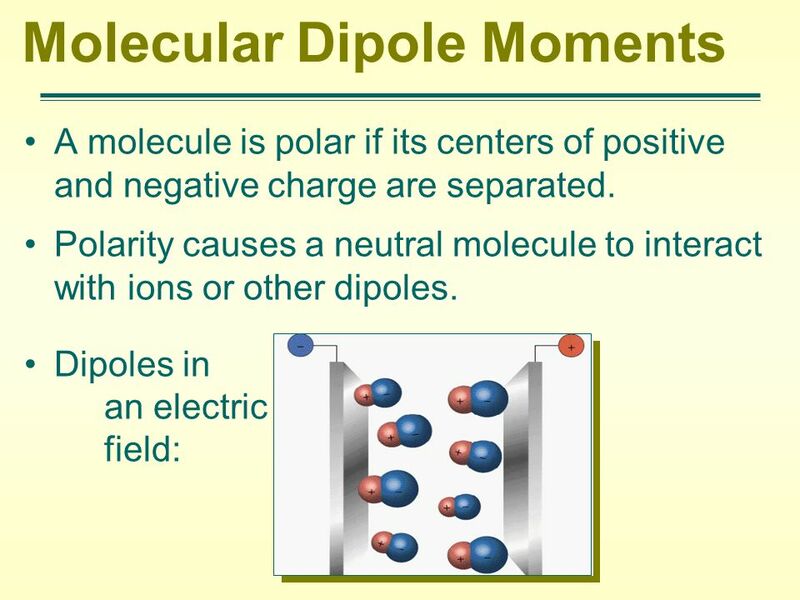 1 Shapes of Molecules Determined by number of valence electrons of the central atom 3-D shape a result of bonded pairs and lone pairs of electrons Use. 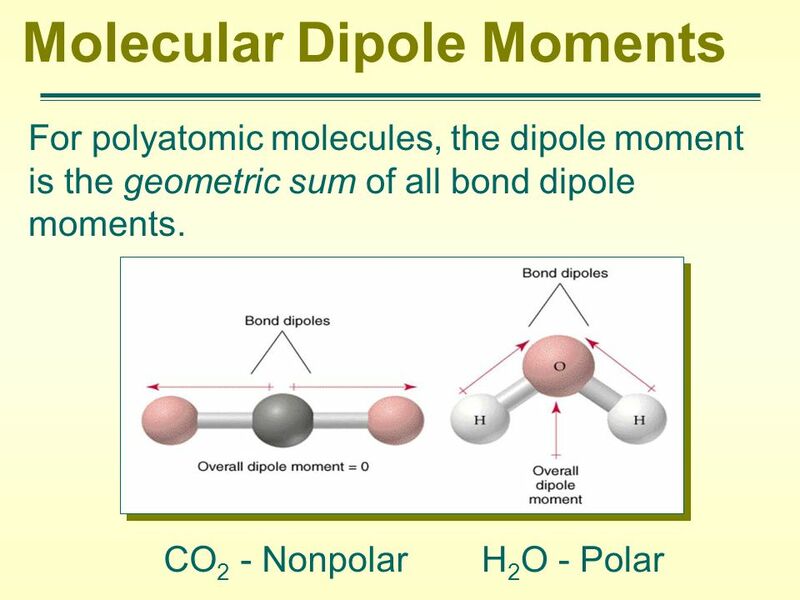 1 Covalent Bonding: Molecular Geometry Hybridization of Atomic Orbitals Molecular Orbitals. Shapes of Molecules Determined by number of valence electrons of the central atom 3-D shape a result of bonded pairs and lone pairs of electrons Use VSEPR. Molecular shapes Balls and sticks. Learning objectives  Apply VSEPR to predict electronic geometry and shapes of simple molecules. Chapter 9 Molecular Geometry and Bonding Theories. Drawing Lewis Structures and VSEPR. Draw basic Lewis dot structures of atoms and compounds. 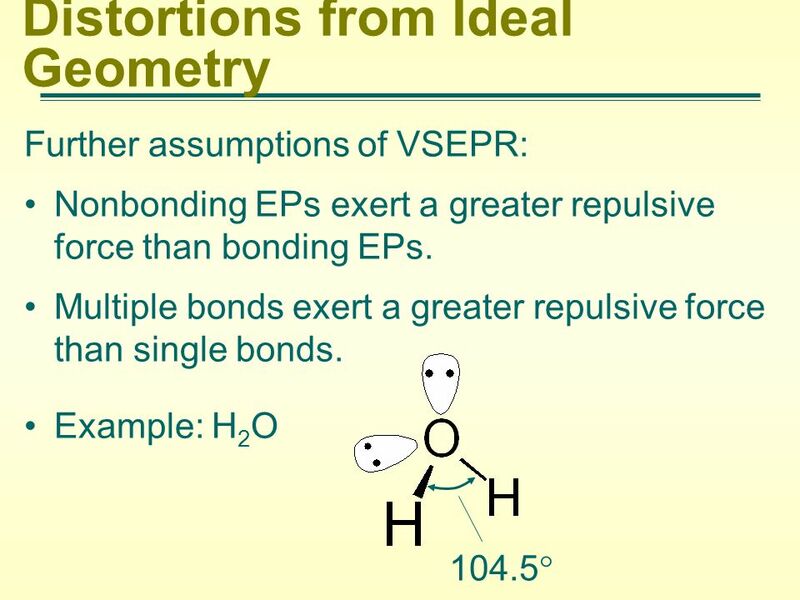 Using VSEPR, predict bond shape from electron arrangement. MOLECULAR GEOMETRY VSEPR ACTIVITY. CARBON DIOXIDE Chemical formula: CO 2 # of atoms bonded to central atom: 2 # of lone pairs on central atom: 0 What.  Basic Terminology  Molecule  Group of atoms held together by covalent bonds  Bond Length  Distance between 2 bonded atoms  Bond Energy  Energy.